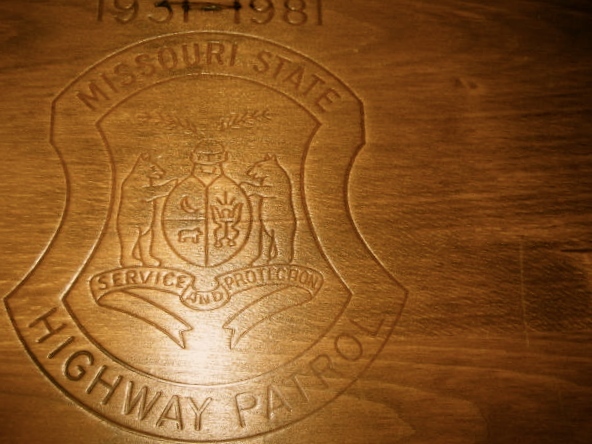 The members of the Missouri Highway Patrol do not ware a breast badge. Hat and wallet badge only. Original wallet and hat badge # 290 which were issued. The gold wallet badge is a shell back and is 10k gold filled. 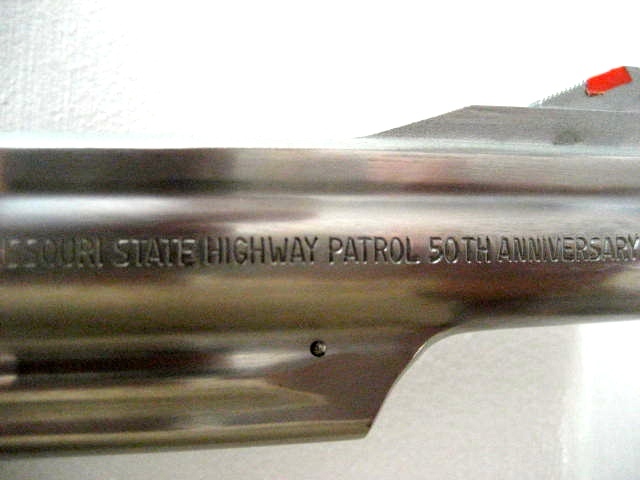 Missouri Highway Patrol Underwater Recovery Team. 1961---1963 They were known as the Frog Cops. 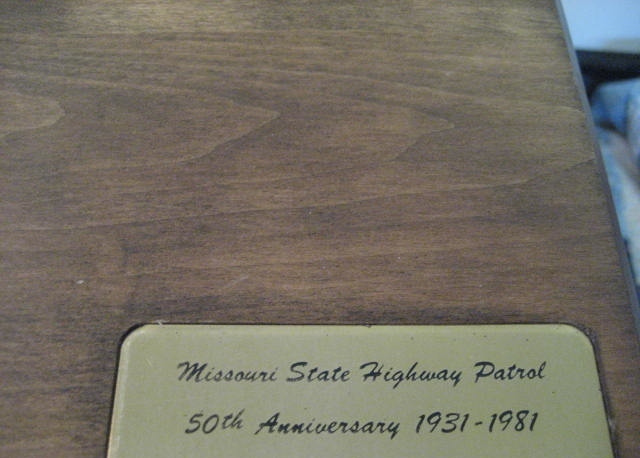 1968 Missouri Highway Patrol Academy Class Ring. 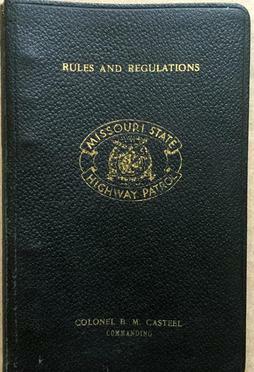 1st rules and regulations book that was issued to every Mo State Highway Patrol Officer. Fred was born April 15, 1921 and grew up in St Louis, Mo. 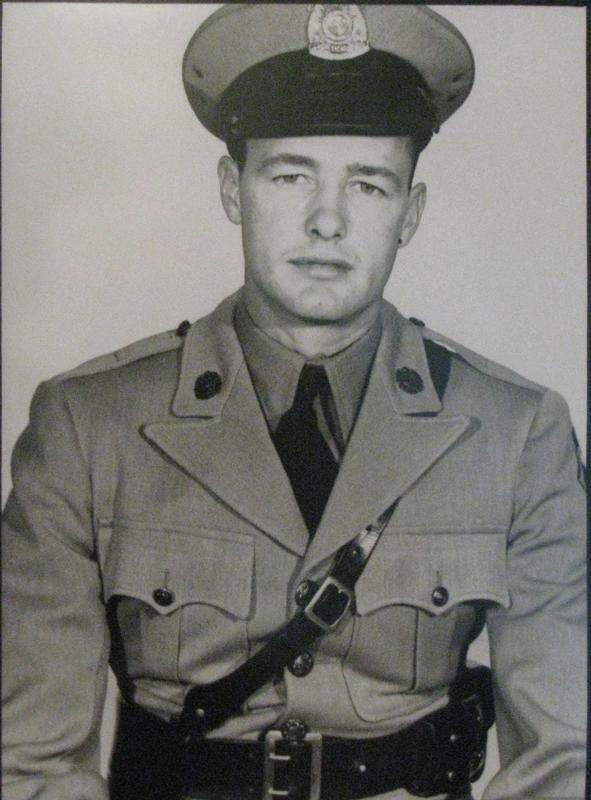 On July 1st, 1946, Fred began his career in law enforcement by becoming a member of the Missouri State Highway Patrol. 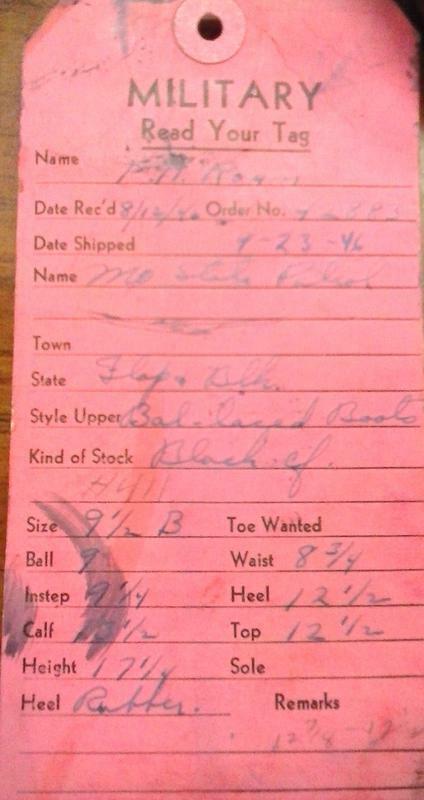 Fred started as a trooper and was assigned badge # 220. 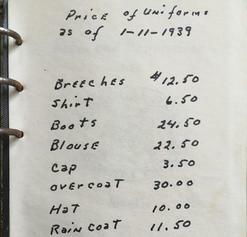 He went through the ranks and was promoted To Captain in 1969 and at that time was assigned badge # 14. 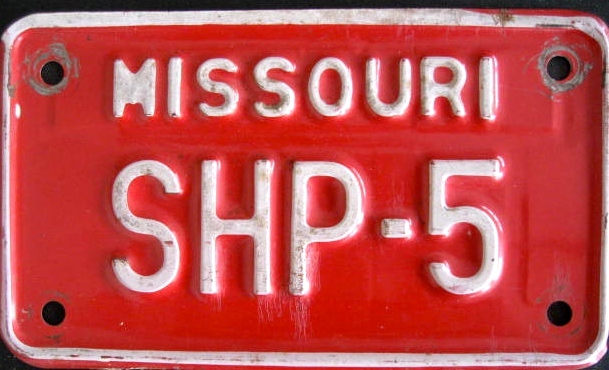 He held many different positions throughout his career, however in 1979 he became the commander for troop H which is located in St Joseph, Mo. Fred retired in 1981 as a Captain. 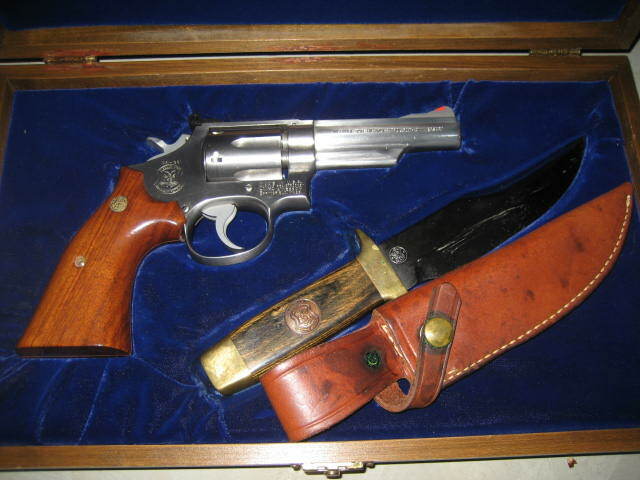 On July 20, 2011 Fred passed away while living in Midland, Texas. 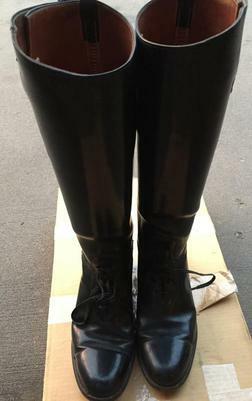 The boots displayed were made for Fred and issued to him in September 1946. 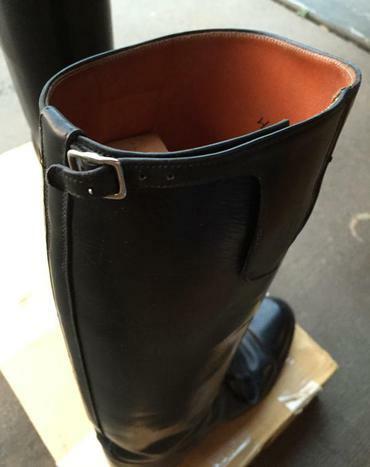 The red tag was used by the Dehner Boot Company to make the ordered boots. 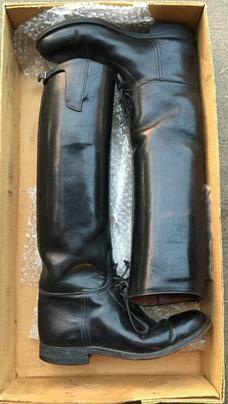 The tag has all of the boot size information including the date when these boots were shipped to the Mo Highway Patrol. 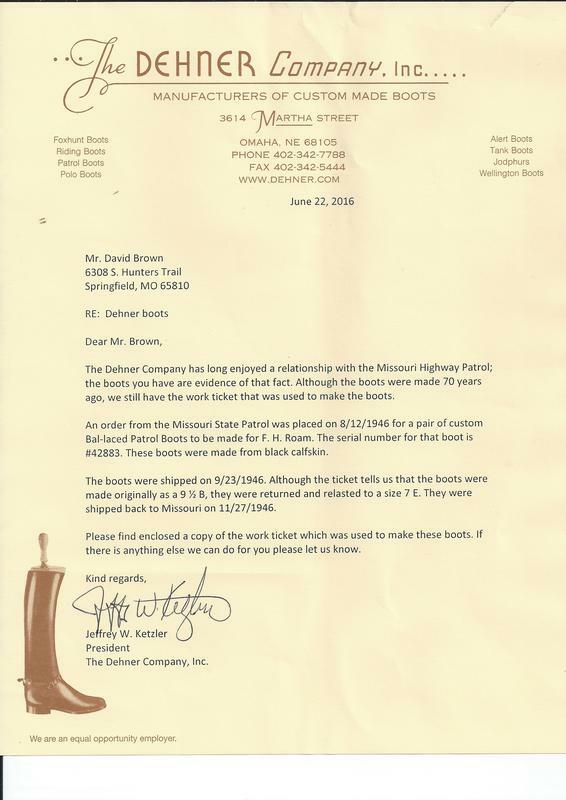 Thanks to Retired Missouri State Highway Patrol Sergeant Larry Cooper # 320 and Fred's son John for providing all of this information and donating the boots. 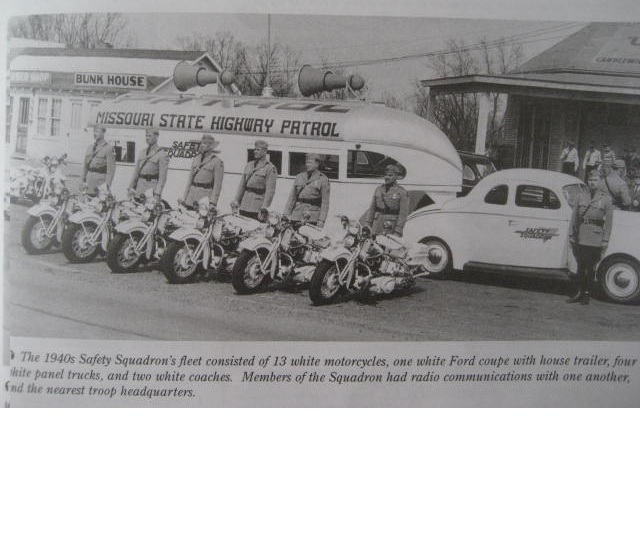 Paul joined the Missouri State Highway Patrol on October 4th, 1953 and was issued DSN # 321. After spending 34 years with the patrol, Paul retired March 1st, 1988 as a Sergeant. 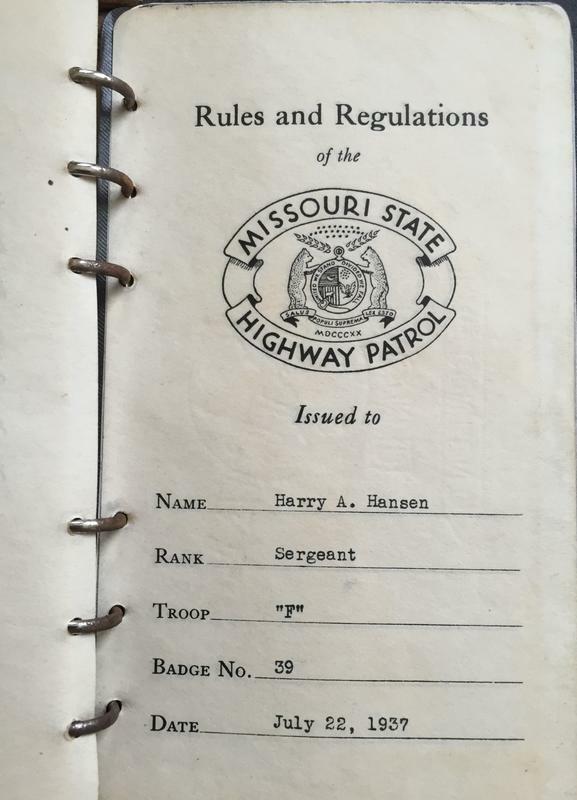 All of his time was spent in Troop E, Popular Bluff, Mo. 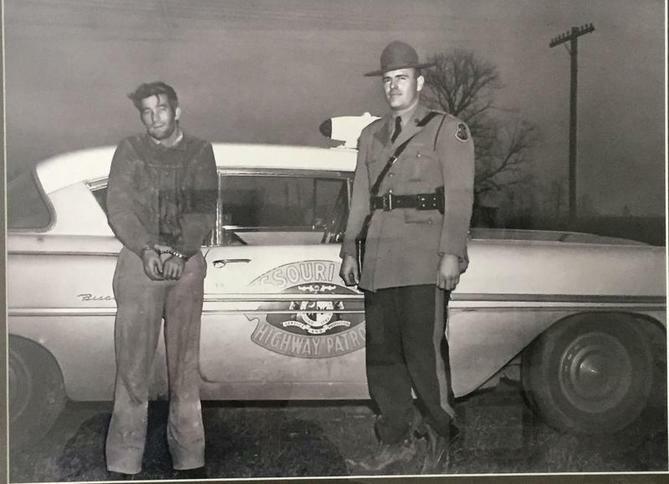 The photo is of Paul and a suspect that he arrested. Check out the 2 door Chevrolet Biscayne. 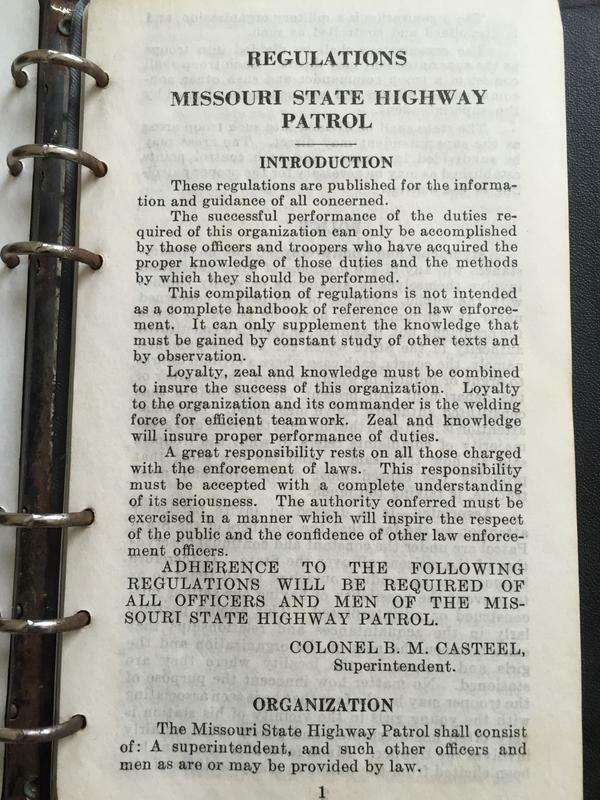 A special thanks to Sean Moore who is Paul's Son and is currently a Lt. With the Missouri State Highway Patrol assigned to Troop E for the photo and information.